More Coloradans are packing up and leaving the state than ever before, and the number of people moving into Colorado is the lowest it's been in decades. According to a story in the Denver Post, 193,000 people moved from the state last year, up nearly 10,000 people from 2015, while those moving into the state, 223,000, saw a decrease of 4,000. While that number alone is not striking, the net gain of 30,000 people was the lowest in seven years. What are the reasons for them wanting to leave? There are many. Affordable housing, jobs with decent pay and the legalization of marijuana were some of the reasons given by those who responded as well as traffic issues in the major cities like Denver. In Grand Junction, meanwhile, the population is rising, up 4.7% from 2010-2016, according to the US Census Bureau, which shows that, while more people are moving out of the state, and the influx coming in is slower, places like Grand Junction are seeing growth, while larger cities like Denver are seeing their populations dwindle. In a recent story, we explained that the Western Slope, by comparison, is growing by leaps and bounds, and would see Grand Junction's population up to 100,000 by 2050. So why the difference? As stated earlier, housing options, job availability and income levels and for some, the legalization of marijuana were the reasons given for moving. These things exist on the Western Slope as well and yet more people seem to be moving out here. So why the change? I believe it is our quality of life here. Take a look at what interests people outside of employment and you will see this valley rich in those things. Hiking, biking, rafting, skiing and more are right here and there are shorter lines, less traffic, and more space. 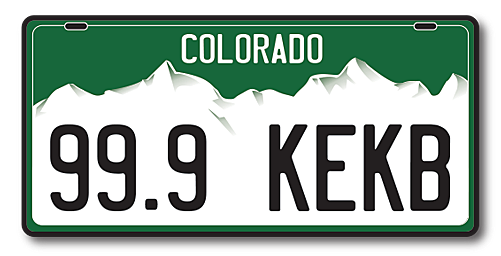 Do you know someone who has left Colorado recently? Are you planning a move out of the state soon? We would love to see your comments!